Television networks across the world can’t decide whether the internet represents more of an opportunity than a threat. Most broadcasters recognise the upside potential. That’s why they are playing with the web. But (like their cousins in print media) the mood darkens when they worry about how they can find 21st century gold while preparing to defend traditional cash-cow businesses from attack by digital ‘natives’. 2. IPTV (Internet Protocol Television): web programming by network operators like British Telecom or Telstra or Verizon. 3. OTT (‘Over The Top’): web services provided independently of network operators, like Netflix, YouTube, Hulu, LoveFilm, and BBC iPlayer. Either free or pay-as-you-go. The hotel-room naked images of Britain’s Prince Harry in Las Vegas were broken by Time Warner’s TMZ web site. This is the entertainment internet channel that, three years before, was first with news of Michael Jackson’s death 250 miles down the road in Los Angeles. TMZ (named after ‘Thirty Mile Zone’ – the LA-centred world of film studios) has 3m US viewers and at least 1m worldwide. They devour TMZ celebrity news and gossip presented with split-screen video, photos and graphics. BskyB, the News Corp-controlled, world-best pay TV business, has launched NowTV. It’s (initially anyway) a film channel to compete with the rampaging Netflix, Amazon’s LoveFilm, and new movie channels from Tesco’s Blinkbox, and Dixons’ KnowHow Movies. Australia’s National Basketball League has started selling its live coverage direct to online viewers for A$59 per season. The common link between those recent developments is that they are all OTT services, showing how the web is starting to be a new home of TV and not just a promotional (and catch-up) medium for it. Further evidence for the growing importance of such web TV comes from the Google-owned YouTube with the milestone news that one of its best-watched ‘programmes’, “Recipe Rehab”, is next month (October) switching to America’s ABC network. This is the first YouTube original programme to migrate to television, after five months on the Everyday Health Channel which has achieved over 17m video views. The deal is also a breakthrough for YouTube which has been busy persuading viewers and advertisers that its channels are where millions of people watch high-quality ‘TV’, not just shaky home movies and archive footage. After years of dismissing such programming as ‘streaming’, broadcasters are having to sit up and take notice. First, the streamers ‘stole’ the music-video market, now movie channels are under attack; and, soon enough, it will be sports. OTT is clearly becoming a large and growing slice of all viewing, especially among younger audiences. YouTube can increasingly be seen as Google’s trojan horse for its invasion of mainstream TV viewing. Its 100 channels now feature a substantial volume of high-quality and original programming like “Everyday Health” and, of course, it dominates music-video. YouTube is becoming the ultimate modern – and truly global – TV group, increasingly featuring the work of leading companies and producers. “Recipe Rehab” itself is the brainchild of Trium “a multi-platform independent production company” which previously gave us “Masterchef”, “The Biggest Loser”, “Shear Genius”, and “American Gladiators” – as well as a host of major digital streaming hits. Award-winning producer of “Recipe Rehab”, Mark Koops hailed the ABC deal as a breakthrough: “It’s a sign of the emerging times. Television is no longer just the television“. But there’s plenty more evidence of the growing importance of such web services, especially in capturing difficult-to-reach young audiences for whom TV viewing is more about laptop than lounge. Enter the UK’s largest online ‘broadcaster’ with a stunning story to tell. 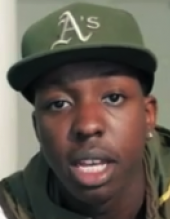 SBTV was created six years ago by the then 16-year-old Jamal Edwards. His Mum had given him a video camera for Christmas, and Jamal went out filming urban music and dance from his Acton, West London home. Now, SBTV (after SmokeyBarz, a former alias for his experimental video clips and the name of his booming YouTube channel) claims more than 100m hits, 5.5m in the last month. SBTV is oozing advertising, sponsorship – and cool. The whole operation is much more than a web site or YouTube channel. Its combination of funky news, music and edgy video represents a real blurring of media channels, the shape of things to come. Is it TV? Well it’s watched by milllions of young Brits. Is it a web site? It is great online source for news and gossip about music, fashion and urban stuff. Is it radio? Well, its a good place to listen to new music. Ask Ed Sheeran, who was “discovered” by (or on) SBTV in 2010. And Kelly Rowland, Jessie J and Tinie Tempah who were thrilled to be part of it. Edwards is a fascinating if slightly confusing blend of the radical and the mainstream. His rap world is spliced with commercial success and hob-nobbing with David Cameron, Richard Branson, and Simon Cowell. He’s written columns for daily newspapers, and has appeared at festivals and on platforms where people hang on to every under-stated word about the way of the world and young people’s place in it. He was a Spirit of London Ambassador and carried the Olympic Torch at the invitation of Coca-Cola. He’s even been interviewed by the BBC. As if to confirm this nicely dissonant picture of a clever, charming, streetwise young guy on top of his world, Jamal tells everyone that his Mum was a finalist on Cowell’s X-Factor. He dresses (of course) in a baseball cap, jeans, trainers and a discreet gold chain. But Jamal has real flair and irresistible drive. He is the face of Google Chrome which charted his rise to success in a compelling TV ad (http://sbtv.co.uk/2011/08/the-new-star-of-google-chrome/ ) – and turbocharged his viewing figures. He has clinched a deal with Sony RCA for his new label, Just Jam Records and signed UK MC Maxsta as his first artist. The SBTV gossip is all about deals with Branson, clothing lines and very Virgin-like ideas for the exploitation of what is arguably the UK’s biggest new media brand. It is difficult to dispute 22-year-old Edwards’ claim that SBTV people understand their audience because they are the audience. The success of SBTV means different things to different people. But we need to understand what is happening here. A major media “channel” has been created completely beyond the world of regular broadcasters. It is slick and uses a thrilling multimedia approach that has captivated millions of young people in ways that are beyond the regulated, strait-jacket worlds of broadcast TV and radio. Hundreds of thousands of young people are watching more SBTV than ITV, the UK’s largest commercial channel. This is how more and more TV is going to look, feel and be delivered – and Jamal Edwards is not the only one who understands that. The mighty BskyB has launched its own OTT service because (for all the acclaimed success in winning 11m subscriptions for its £7bn cable-satellite network), the UK market still has 13 million households that don’t have pay TV. Sky already has 4m broadband internet customers, so OTT is a real opportunity, as it is also for the retailers who are dying to develop truly interactive TV linked to home shopping. But the major result is sure to be a proliferation of TV-like formats on the web, multimedia channels that will challenge conventional media demarcation – and also, of course, defy traditional cross-media ownership restrictions. made pirate radio stations so appealing to an earlier generation. And for every youth TV channel, there will be many others to further crowd the market for movies, news, business – and sport. How many sports organisations will be watching Australia’s basketball marketing of its own live channel direct to the consumer? Imagine how such OTT applications may come to rock the world’s traditional broadcasters, with all the potential for interactivity, ecommerce – and gambling. The growth of such web TV is getting oxygen from the decline (5% this year) in worldwide pay TV audiences – despite strong growth still in the AsiaPacific. There are, however, all kinds of contrary views including comment on the high cost of delivering good-quality web content, the apparent bandwidth constraints and the view that most people will anyway be content with their “conventional” television offering for years to come. But we know too well how customers’ heads can be turned and how the rolling wave of technology can defy even the savviest prediction. Tens of millions are now watching broadcast TV on iPads and smartphones in ways that were so recently thought to be beyond the technological frontier, let alone consumer taste. Other seemingly improbable things will come along and captivate people who are increasingly hungry for choice, change and mobility in their entertainment and information. Whether viewers have internet-connected televisions, web-enabled set-top boxes (like the UK’s newly-launched YouView) or make their viewing choices on something more mobile and versatile, creative new channels will flood the web – and some will become huge right around the world. Many such channels will be as seamlessly international as the internet itself. Individual OTT television programmes and channels will go viral like music, books, apps and web sites have been doing. Something else for rights-bound national broadcasters to worry about. Whether huge audiences in these countries will start to watch the majority of their TV on the web will,of course, depend on the inspiration of programme makers. It’s all about content. Bright sparks like Jamal Edwards or – further up the age-scale – Mark Koops will be able to win audiences with their brilliant ideas and enjoy the freedom of the internet. And who knows how many broadcasters – strategically tormented by media futures – will fuel an internet-viewing boom by pumping in their own programmes? But these multimedia channels – like SBTV – will be just that. They will have the combined appeal and expertise of TV, radio, online and interactivity with a freedom to break down traditional barriers. All media and no-media will be there. More significantly, as these audiences build, advertisers will want to switch some of their budgets from mainstream TV to channels where cookies will guarantee them plenty of useful viewer data – and the vast potential of personally or regionally addressable ads. Advertising media buyers are gearing up for that. Even quite small shares of mighty TV network advertising budgets can, of course, have a substantial impact on the profits of these relatively low-cost OTT channels. And that, in turn, will spur the growth of original content and channels from existing and new media players. Some newspaper groups are already making plans. The way that the best daily paper web sites will increasingly morph into OTT channels is perhaps indicated by the growth of their own video and also by the interesting (but still-developing) “HuffPostLive” from AOL-owned Huffington Post. Leo Laporte’s California-based nerdy TWiT TV is a reminder that the same TV-like, interactive approach is viable even for small media specialists (http://flashesandflames.com/2012/01/05/). And Urs Gessweiler’s multimedia operation in a Swiss Alpine town of 45,000 people shows that regional publishers too have some real opportunities in the new world of ‘web TV’ (http://flashesandflames.com/2012/05/11/). Will the adventurous Daily Mail group try it in the UK? We can be sure that the winners in the multimedia online stakes will include: existing broadcasters who refuse to be deterred either by the blurring of media channels or by their own heritage; the gutsiest news groups; bricks & clicks retailers; the powerful digital ‘natives’ including Apple, Google and Amazon; and people we have not yet heard from. Jamal Edwards’ popular YouTube video channel SBTV is today linking with Press Association to launch a youth-focused news service. SBTV News is part of a strategy to expand the 10-year-old channel from its roots in music – it was an early champion of acts including Ed Sheeran and Jessie J – into a more mainstream multichannel video business. It has echoes of digital upstarts such as Vice which in 2014 made a highly successful move to move into the news market with the launch of Vice News. The news service – which will launch at SBTV.co.uk on Wednesday – will expand into areas such as sport, politics, technology, showbusiness and entertainment. A team of 25 journalists will create the content – four SBTV-based reporters, two of whom will be seconded from PA, and 21 from PA’s digital service Snappa – with plans for an average of about 10 stories a day. The first video uploaded to music platform SBTV – 10 years ago this week – featured MCs Soul and Slides. The footage shows a few people shouting out “Smokey Barz” (founder Jamal Edwards’ early MC moniker which is where the channel gets its name) before two rappers go bar for bar. Adding to its off-the-cuff, DIY aesthetic, it was filmed during a college excursion. “I was at Cadbury’s chocolate factory in Birmingham on a college trip and I filmed them,” says Edwards. “I’m still quite proud of it”.